As Iran faces new international sanctions over its nuclear aspirations, Iran's President Ahmadinejad said he is ready to discuss the most sensitive issues with Barack Obama in front of the world's media. The suggestion comes as Washington insists a strike on Iran is still possible if diplomacy fails to stop Tehran's nuclear ambitions. “The military options have been on the table and remain on the table and certainly in that regard it’s one of the options that the President has. 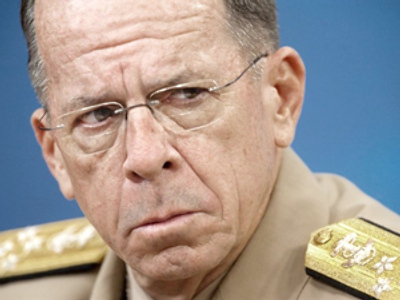 I hope we don't get to that, but it's an important option and it's one that's well understood," said the head of the Joint Chiefs of Staff Mike Mullen in a TV interview on NBC. Anne Penketh, from the British American Security Information Council, thinks that the recent remark by Admiral Mullen is another effort by the US to build up pressure on Iran. Moscow says it's hoping to see progress in negotiations with Tehran. Russia's ambassador to the UN, Vitaly Churkin, said the organization’s resolutions exclude the use of force against Iran. Seyed Mohammad Morandi, from the University of Tehran, thinks that despite the gravity of the situation, face-to-face dialogue over the issue between the two leaders is unlikely to happen. Sassan Ghahramani, founder of the Iranian American Political Action Committee, shares the opinion that debates will not take place since the questions that will be raised are too sensitive for the US President. 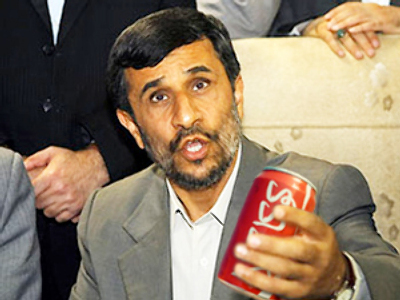 Commenting on the story, RT's correspondent in New York, Marina Portnaya, said that this suggestion is not a new move for Ahmadinejad, and the media interest in it is surprising.